Connecting technology with the everyday needs of the local church. We exist to empower and equip the church through innovative technological solutions that bring people closer to Christ. Vision almost always outpaces resource. Striving to achieve excellence and impact through technological advances, social connectivity, and digital outreach are key markers for how well The Church will flourish in the future. Working closely with churches of all shapes and sizes helps us all gain an understanding of the problems technologists within churches are facing. We’re developing a vibrant community of like-minded followers of Christ who are passionate about leveraging technology to help plant more churches and grow existing churches. 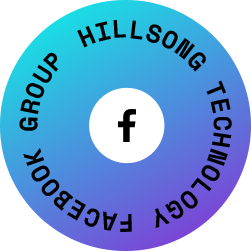 Hillsong Technology is a joint venture between Hillsong Church and Brushfire Technology. We want to create a space where church technologists can go to get resources and to resource others. We’re driven by the belief that innovation requires collaboration and exploration. Will you help us push through until we’ve found the right solutions to address the needs of the advancing church? We’re not asking you to join the conversation, we need you to help start it! Join our Facebook Group for Church Technologists. Share ideas, ask questions, and more. Like most teams, our greatest tools to steer our team’s efforts towards the future are effective meetings. Sharing our key learnings as we project manage team around three continents. Take your creative efforts to the next level with these 3 things we've learnt about brand design.